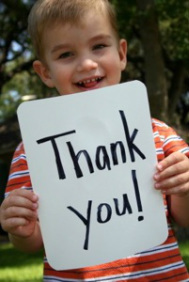 Thanks to millions of dollars in funding and the work of many respected organizations, there is a 90% survival rate for the most common form of childhood leukemia, Acute Lymphocytic Leukemia (ALL). We are specifically targeting AML because it is a less common sub-type of childhood leukemia and also has the highest mortality rate for children (40-50% survival). Pharmaceutical companies are typically the largest funders of research in any area, and often for business purposes they focus the majority of their efforts on diseases that impact the largest groups. Because AML cases represent a smaller percentage of all childhood leukemia diagnoses this disease is currently underfunded. According to most leading experts in this field “much work remains to be done to improve outcomes for this group of patients.” Our mission is to help eradicate childhood cancer. 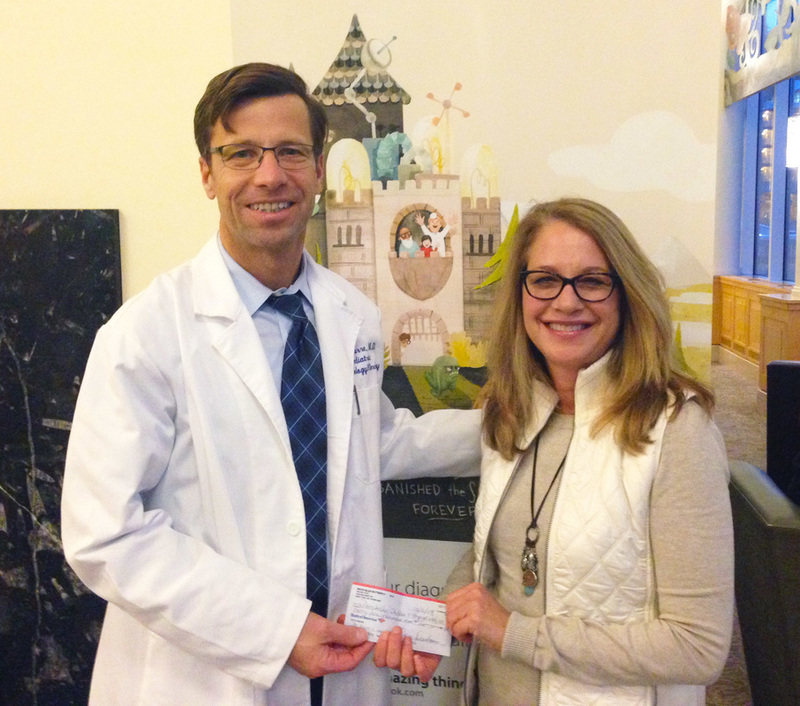 The Blue Butterfly Campaign donated $45,000 to Dr. Peter Kurre in 2014 to purchase the instrument needed to identify special markers released by leukemic cells in the blood making early detection and cancer relapse easier to recognize. Because of this donation, Dr. Kurre and his team were able to continue the critical research moving their studies closer to helping the kids with AML. 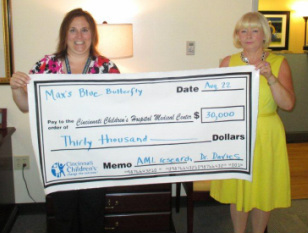 2013 donation, $30,000 check presented to the Cincinnati Children's Hospital, where they are diligently doing research to find a cure of AML in children. We are honored to be connected to them!